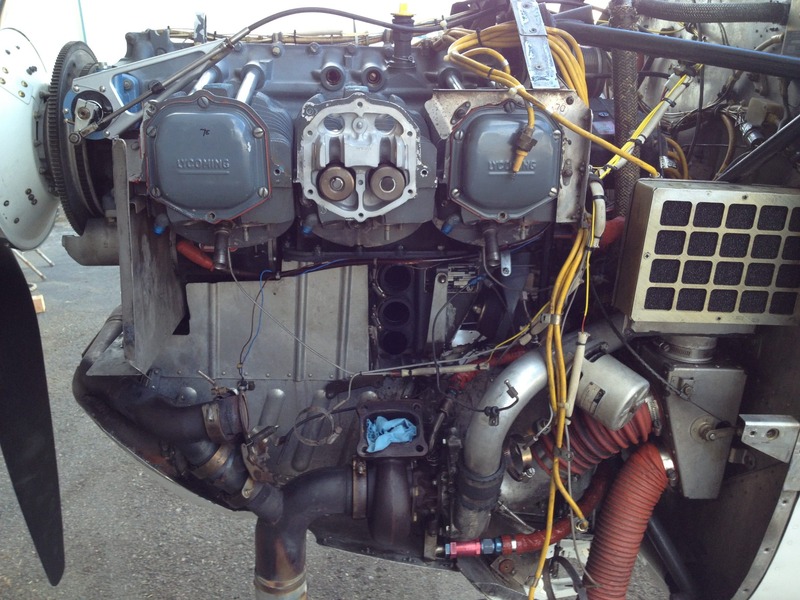 T(R)182 Turbo Failures | Tennessee Aircraft Services, Inc.
A recent phone call from Gary Main brought an old issue to my attention again. Gary owns and operates Main Turbo in Visalia, CA. where he specializes in repair and overhaul of turbochargers and their accessories. 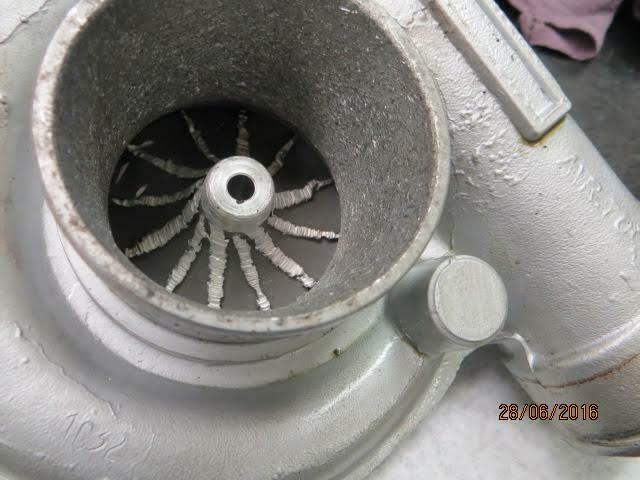 Gary’s concern was about an apparent rash of T(R)182 turbocharger premature failures that found their way to his shop. We discussed the probable causes and agreed that a new generation of owners and mechanics might benefit by revisiting some experiences of the past. The legacy Turbo 182 (T182) and Retractable Turbo 182 (TR182) are very unique in the general aviation fleet as the only carbureted turbo charged single engine airplanes that I can think of. The fact that the turbo works is interesting and that it works well is amazing. The system is dirt simple in operation, but I’m sure the Cessna engineers had fits getting it to work as advertised. Even in its simplicity, there are opportunities for expensive failure modes. 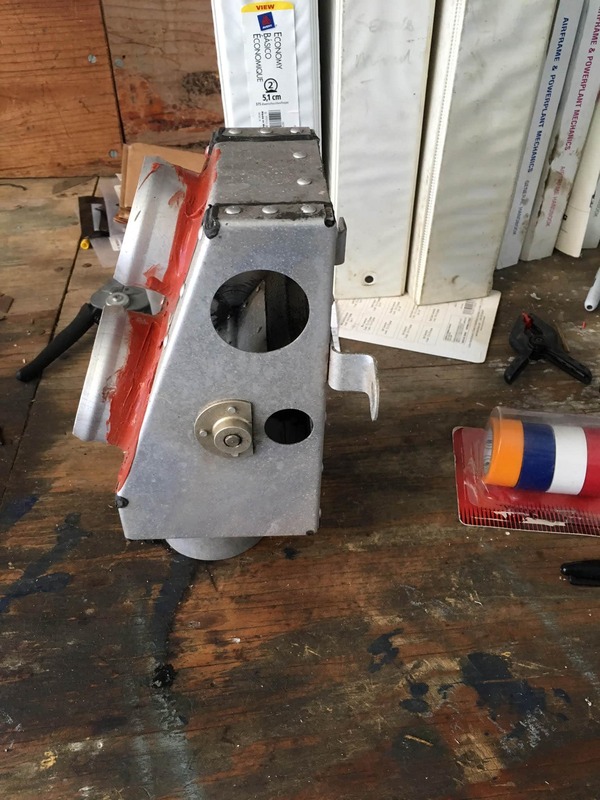 I reached out to the Cessna Pilots Association members on the 182 forum to get some pictures of the turbo system and the carburetor air box. As anticipated, the response was very helpful. I received enough that I was able to find ones to show exactly what was needed. A big thank you to all those that sent pictures and helped with this information. My very first exposure to turbo charged aircraft was back in 1973 when my father restored a severely damaged 1968 Turbo Twin Comanche. Piper used a manual wastegate for these turbocharged engines but had a control separate from the throttle. It was a very simple but work load demanding design for the pilot. This was not a supercharged engine, as the turbo was designed just to maintain something close to sea level manifold pressures, if desired by the pilot. Today we’d call it turbo-normalized. In normal operation the wastegate control, which looks like a large push-pull vernier control from a single engine plane, is fully out, meaning the wastegate is open. In this configuration the little IO-320 Lycoming is just another high compression ratio normally aspirated fuel injected 160 horsepower engine. Once the aircraft’s altitude increases to the point that wide open throttle no longer produces enough manifold pressure, the turbo can be called on for more. The wastegate vernier is pushed in, slowly closing the wastegate until desired manifold pressure is achieved. As the plane continues to climb, the wastegate is closed more and more to maintain pressure. The engine data plate and the FAA Type Certificate Data Sheet for the T(R)182 reveals the engine model is an O-540-L3C5D. The “O” prefix denotes opposed cylinder configuration. There is no “I” for injection and no “T” for turbo. When purchased new from Lycoming, this engine will not come with the turbocharger. 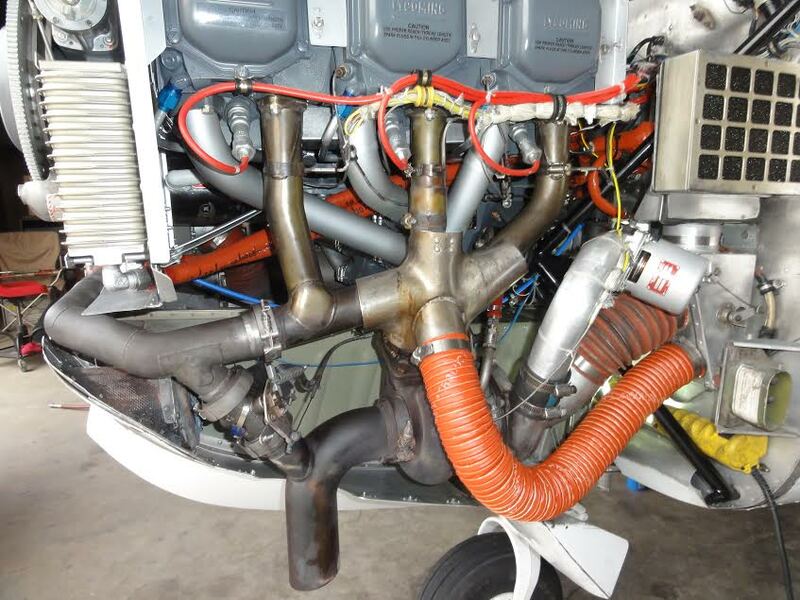 That part of the engine system is Cessna factory design and installed. Unknown to many is that many legacy Cessna turbo systems were Cessna designs and not from the engine manufacturer. 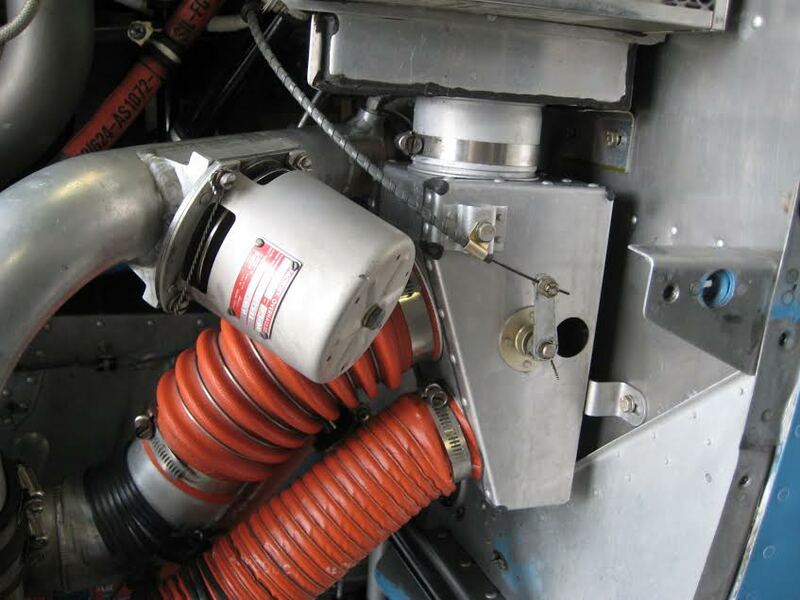 The T182 and TR182 wastegate is also manually operated, and the system is designed for turbo normalizing. There are a few major differences from the Piper system. Most notably is that the Lycoming engine in the T(R)182 is a carbureted 0-540. By pumping compressed air into the carb, it always thinks it’s operating at altitudes that offer ambient pressures capable of generating the manifold pressures produced by the turbo. Sounds simple enough. What Cessna did that made the T(R)182 unique for its day was the fully mechanical single lever operation of the throttle and wastegate. No need for a second control or hydraulics to operate this system. The throttle is advanced normally until redline manifold pressure is reached, about 31 inches. As altitude increases and manifold pressure drops, the throttle is advanced farther. At some point, the carburetor is wide open and the advancing of the throttle leaves the carburetor control and begins closing the turbo wastegate. As the wastegate closes, the manifold pressure can be maintained, and the carburetor assumes it’s still operating at some lower altitude. Most turbocharged engines use low compression pistons, and the turbo begins working as soon as the engine starts to make up the compression difference. Because the T(R)182 design uses a high compression engine, it doesn’t ask much of the turbo most of the time. This means the Garrett turbos are generally very reliable and long lasting. The two most common complaints with these turbos are engine oil leaking and sudden erosion of the compressor blades. In full wastegate closed operation, these turbos spin at astronomical speeds and need good bearing lubrication and cooling. Oil is supplied from the engine through a one way check valve. As the oil pressure exceeds a minimum value, the valve is forced open and oil flows to the turbo bearings. Oil exits through a port on the bottom of the turbo and goes through a much lighter duty one way check valve. A view looking into the compressor side of a damaged turbo. The blades are almost totally eroded from FOD. (photo courtesy of Gary Main). Oil needs to flow through the bearings but does not need to sit there or pool. To keep this flow going, the engine scavenge pump is capable of sucking oil out of the turbo faster than the engine can deliver oil to it. For the most part this process works well, but sometimes, especially at idle RPM, more oil is supplied than the scavenge pump will remove. 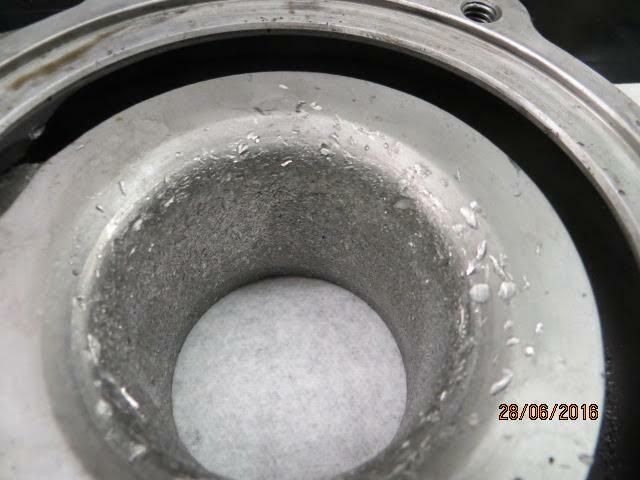 This allows excess oil to remain in the bearing housing after engine shut down. Faulty check valves can cause the same problem. The turbo can operate at temperatures exceeding 1700 degrees, so one can imagine the typical rubber seal around the turbo shaft at the bearing housing isn’t going to last very long. The seals around the turbine wheel shafts are more like piston rings than an o-ring. There will always be a small gap where the “seal” comes together and thus an outlet for oil. As the turbo cools, residual oil in the bearing housing can make its way into the turbo and sometimes all the way out the exhaust pipe.This is entirely normal and is not necessarily cause to attack the turbo with tools. Turbos are frequently removed from service prematurely due to evidence of some oil in the exhaust. This is unfortunate, as the problem is often one of the two check valves and not the turbo’s fault at all. Even if the turbo isn’t sealing as good as it should, it may not have reached the level of being an airworthiness concern. Monitoring an engine’s oil consumption trends is an excellent way to help determine the level of concern for the turbo’s oil issues. Compressors in this installation seem to have a particular propensity for FOD (Foreign Object Damage). The Garrett turbocharger compressor wheel is made with aluminum and spins at speeds up to 50,000 RPM on the bench. I’m not sure what it can do in operation, but it’s really fast. We usually think in terms of how much pressure a turbo produces at its outlet in terms of manifold pressure. What is often forgotten is that for all that outlet pressure, there is just as much vacuum at the inlet. Anything not strapped down will get sucked directly into the blades where almost instant destruction occurs. With all this metal damage one might assume it would be noticed right away by the pilot, but not so. 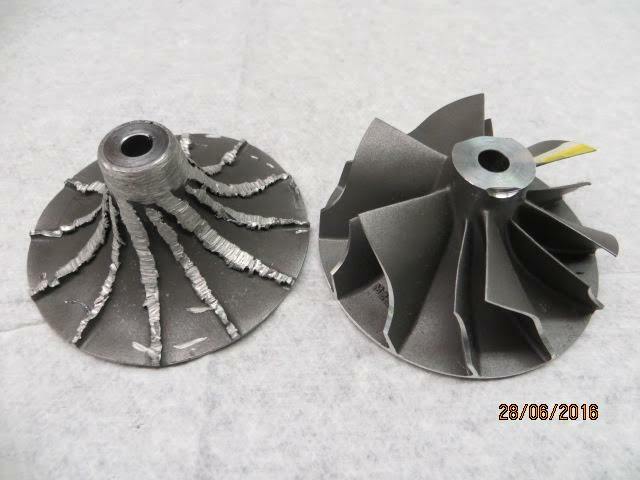 Before and after of the compressor wheel. A pretty staggering difference. (photo courtesy Gary Main). I’ve never once had a pilot report any sound indicating mechanical damage to a turbo. Discovery of the failure is often during routine annual inspection. An operator that flies above seven or eight thousand feet may notice a slight bit more throttle needed to achieve the desired manifold pressure. Those operating about ten thousand feet will report problems right away. Other than that, the damage can go unnoticed for a very long time. I hate to say it, but post maintenance is the most likely time for FOD. Generally speaking, the induction air filter should prevent any damaging material from entering the system. Unfortunately, the system has openings after the filter that offer debris almost unfettered access to the unsuspecting turbine blades. The carburetor heat air box is mounted on the left side of the firewall and is pilot selectable to source air via the filter or from the shroud around the left exhaust collector. The heated air from the exhaust shroud has no filter or screen to go through before it gets to the turbo. Anything that finds its way into this shroud or the hose connecting it to the carburetor heat box will go directly to the turbo if the carb heat valve is opened. The outlet housing of the turbo clearly shows how much damage the debris from the compressor wheel has done. All that material continues down stream to the rest of the engine as well. (photo courtesy Gary Main). Carburetor heat is typically only used on two occasions; when carburetor ice is detected and during pre-flight ground run. As long as the carburetor air box remains closed and the turbo doesn’t spin, there’s not so much concern for any catastrophe. However, even with the wastegate fully open, some of the exhaust energy finds its way to the turbo, so there will always be some rotation. During pre-flight the engine is making a fair amount of power, so opening the carburetor heat generates plenty of suction to lure any loose hardware to its doom (the turbo’s doom). Unfortunately, the pilot won’t hear anything and will be none the wiser until he/she needs the extra push from the turbo. The exhaust shroud makes a pretty good funnel, catching all sorts of bits and pieces that stray from their appointed location. Valve cover screws are notorious for backing and falling off during flight. It’s a good idea to take inventory of these screws anytime the cowling is removed. Any maintenance performed in the area presents the possibility of loose parts accidentally dropping into the air inlet and disappearing. If the loose part doesn’t make it to the floor gods, it just might be in the carb heat hose. All sorts of things can and do find their way into this unprotected inlet. After any maintenance around the engine, it’s a good idea to run a videoscope down the inlet hose, just to be sure all is clear. Whether discovered due to poor engine performance or as part of a routine inspection, one should also consider where all that compressor material went. The first visit is through the pipes to the carburetor, then through the carburetor itself, then the induction pipes, all the intake valves, cylinders, the exhaust valves, exhaust pipes and finally through the hot side of the turbocharger. There are plenty of opportunities for even further damage. Be sure to think all the way through the possibilities and do some investigative work. A fairly typical maintenance event with many opportunities for little parts to find their way into the induction system. (photo courtesy of Jeff Hurst).